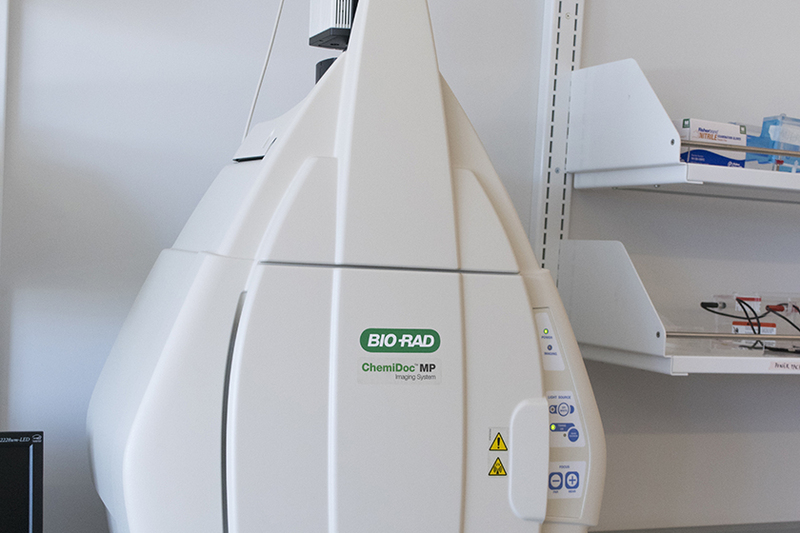 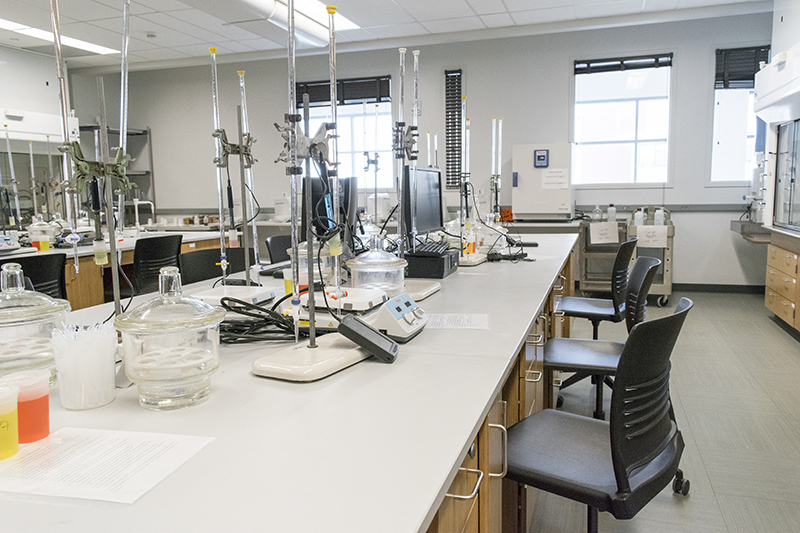 The Chemistry Department has equipment and facilities compatible with an outstanding instructional and research program. 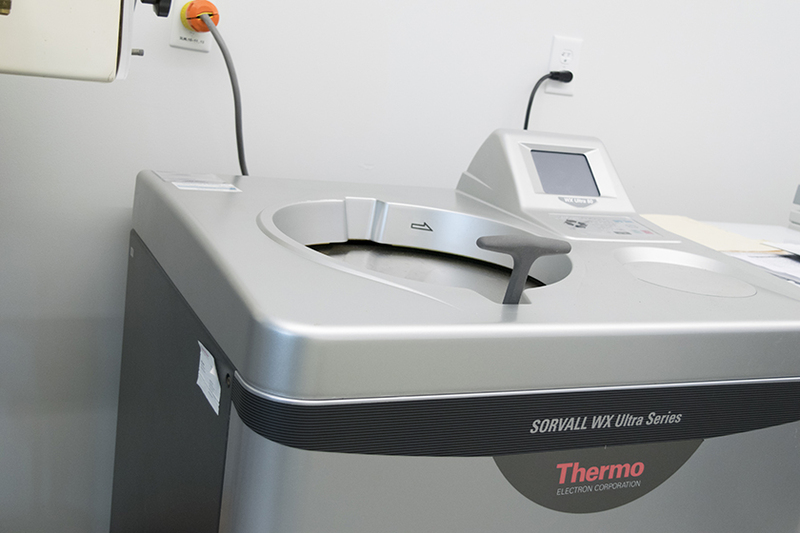 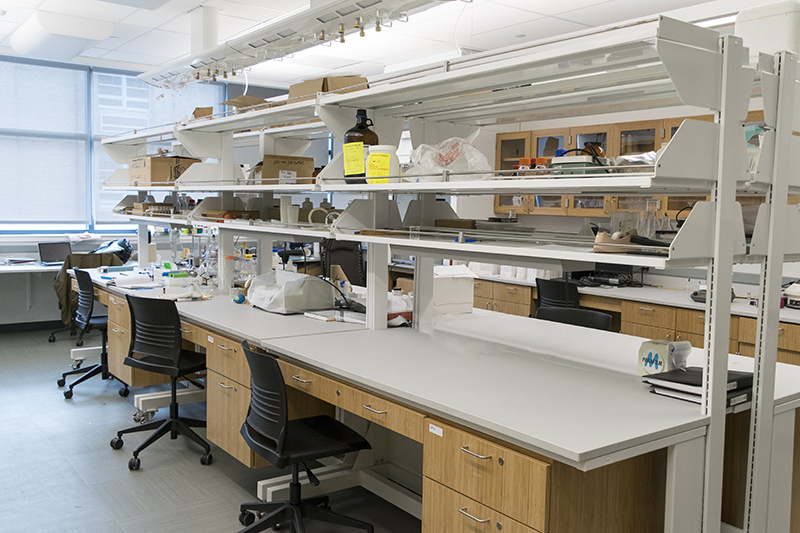 You can work in newly designed research labs in the Shineman Center equipped with state-of-the-art tools. 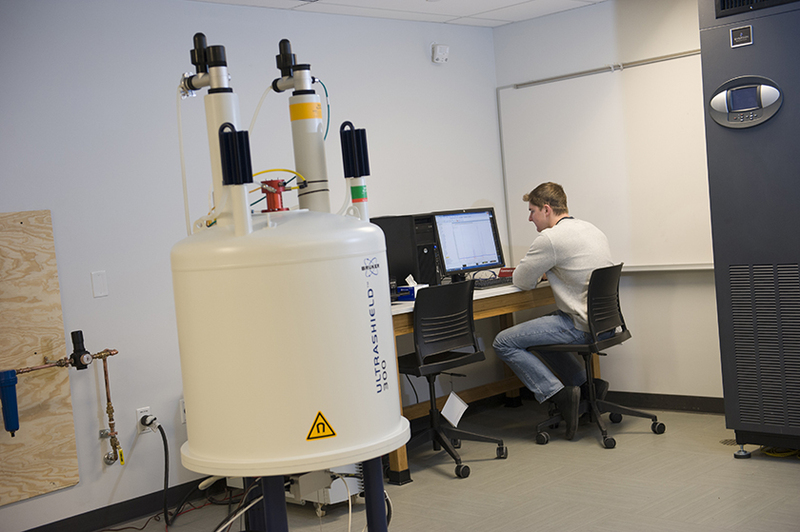 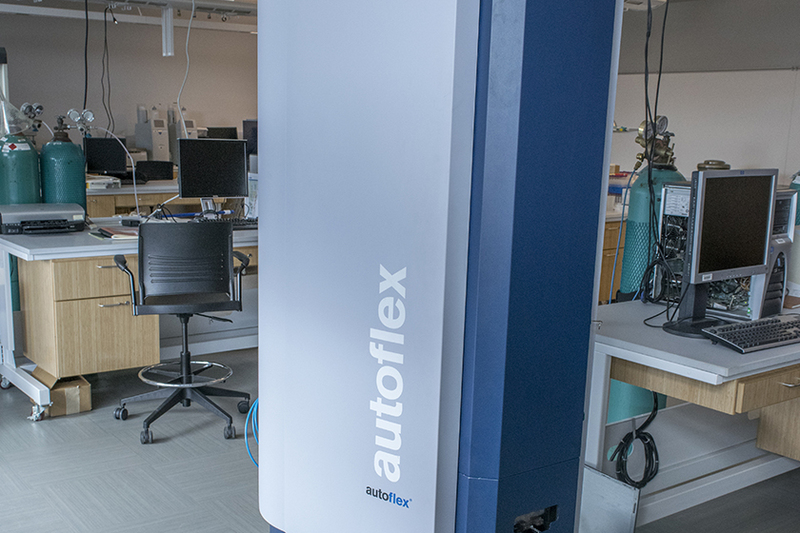 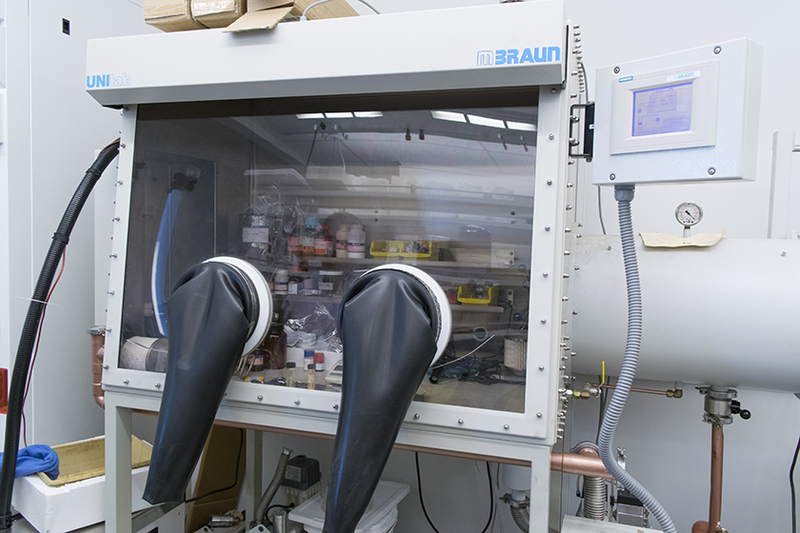 Our department has six research (for individual faculty), seven teaching and three equipment laboratories including nuclear magnetic resonance, organic microwave and solvent purifier, and analytical and instrumental labs. 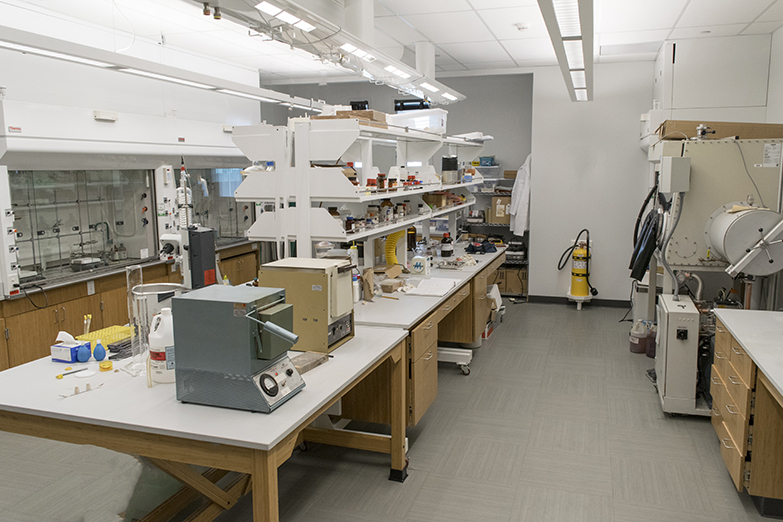 In addition, the Shineman Center shares several research centers with other science departments. 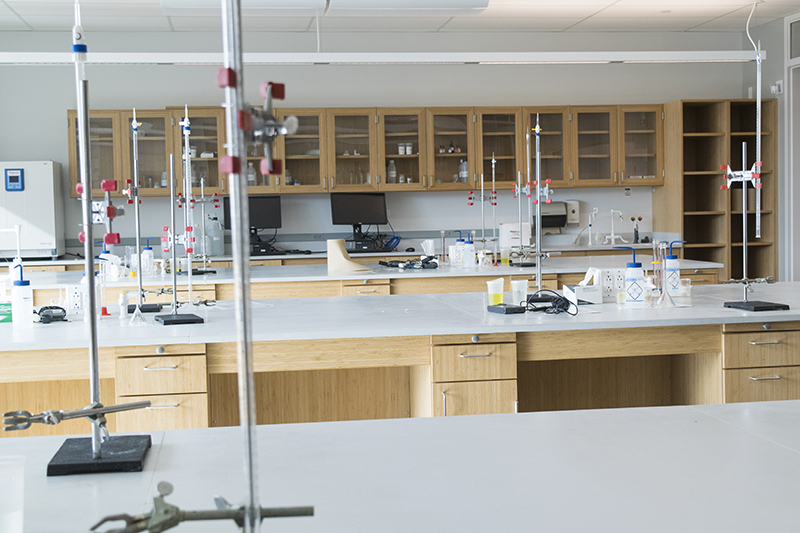 Our department constantly improves its teaching facilities by introducing new equipment to educate students using latest technology. 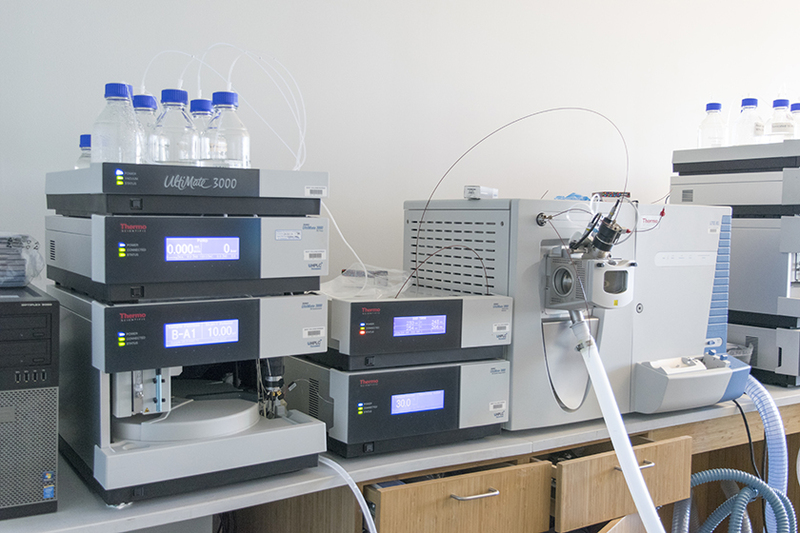 In addition, we regularly update the rigorous laboratory curriculum in preparation for your postgraduate career. 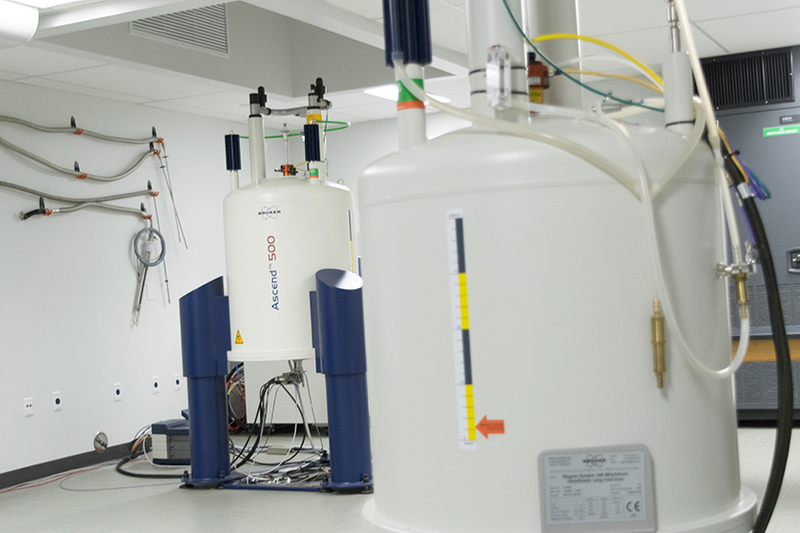 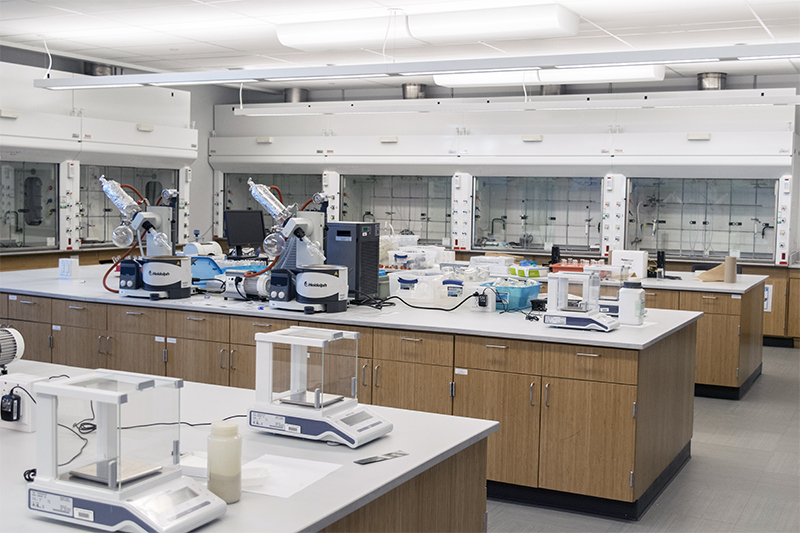 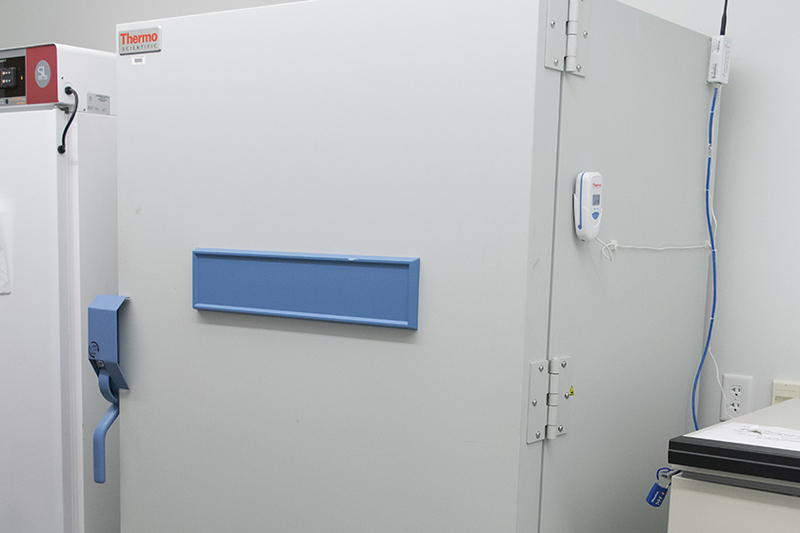 Our labs include teaching and research spaces for analytical, instrumental, organic, inorganic, physical, forensic and environmental chemistries, and biochemistry. 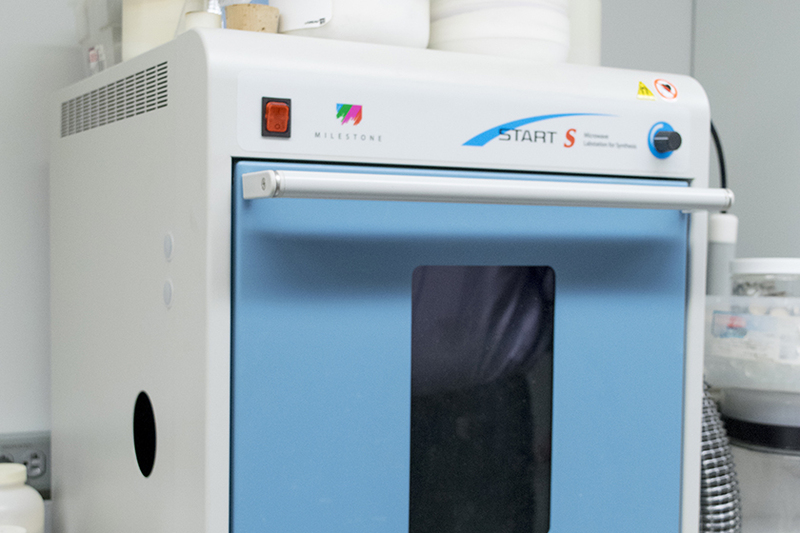 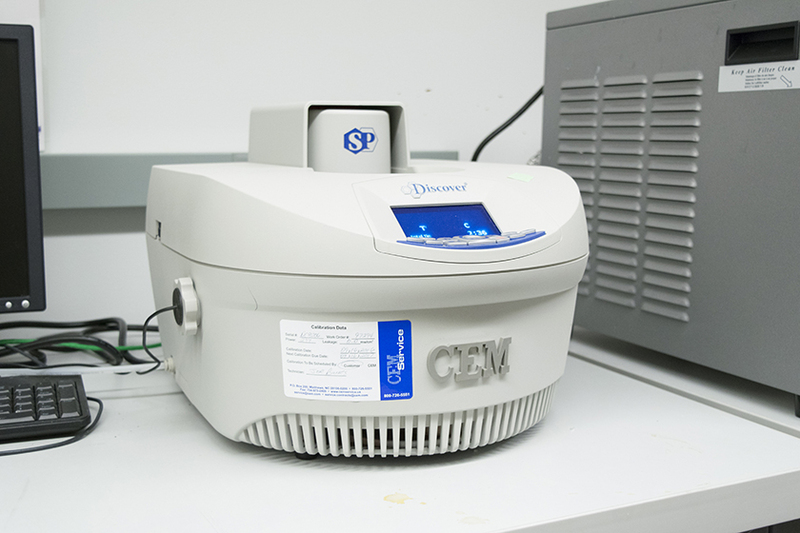 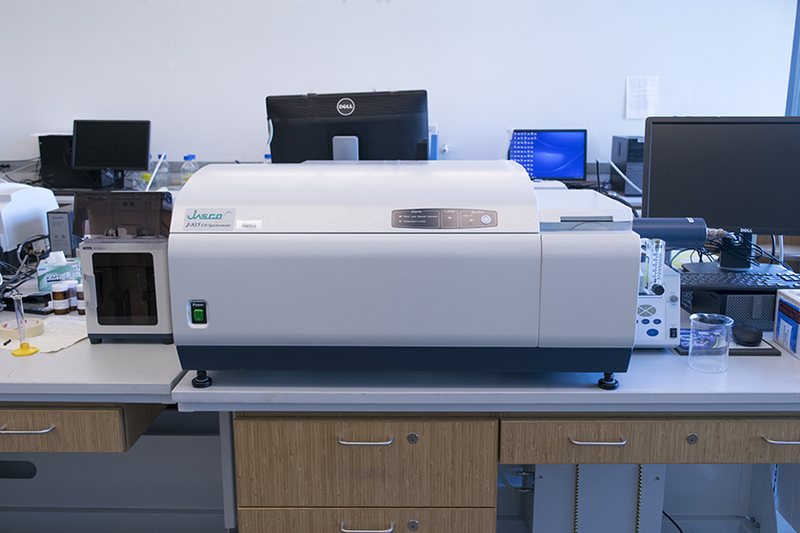 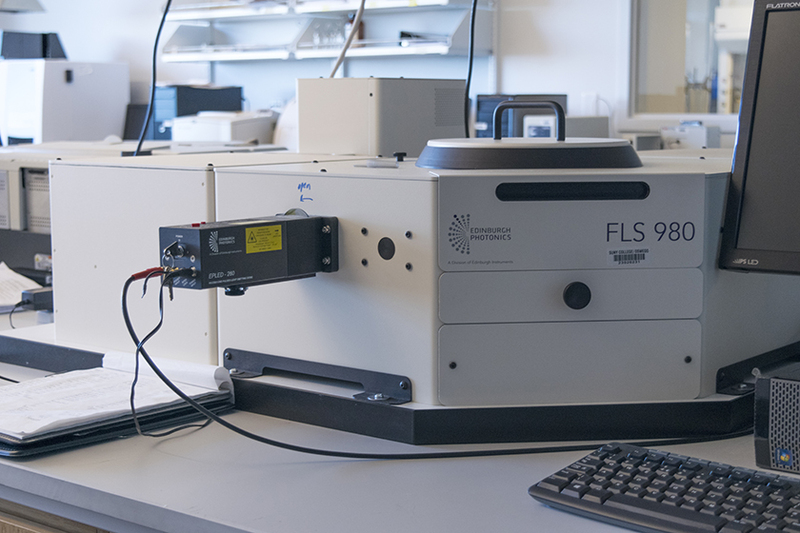 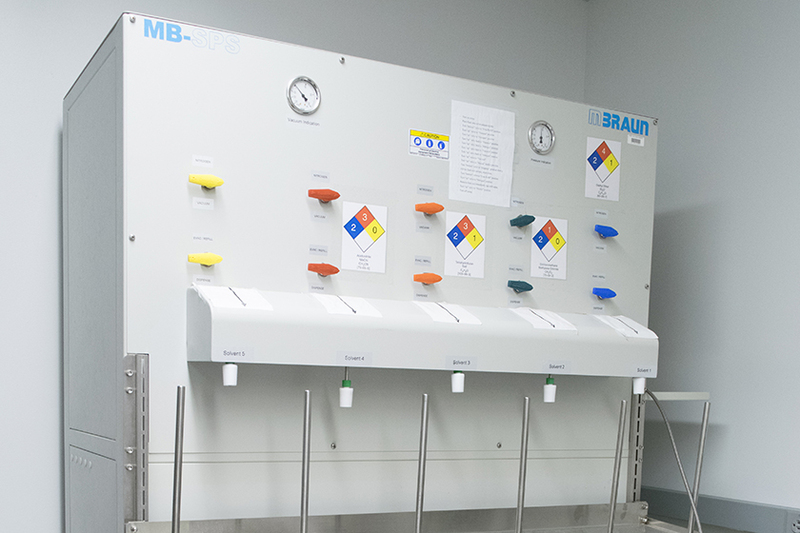 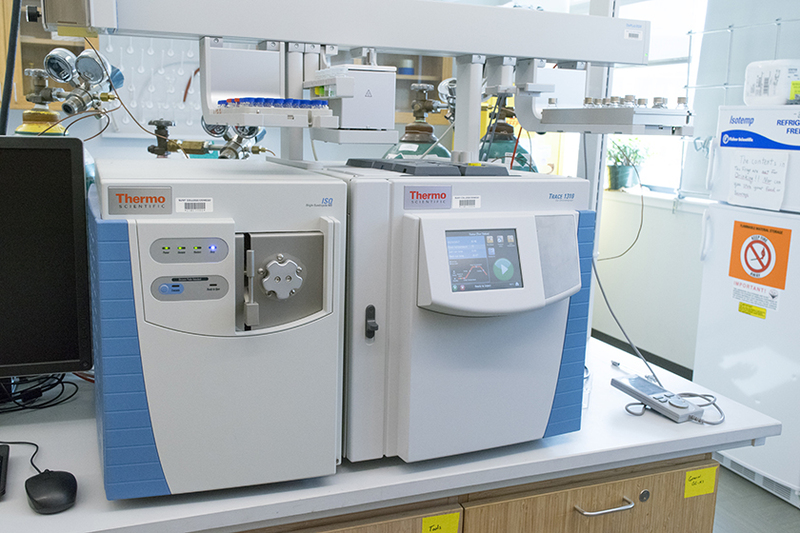 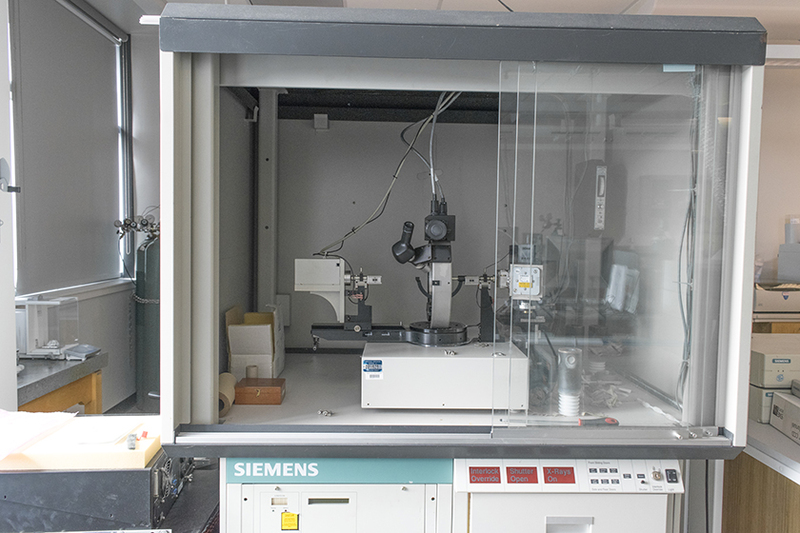 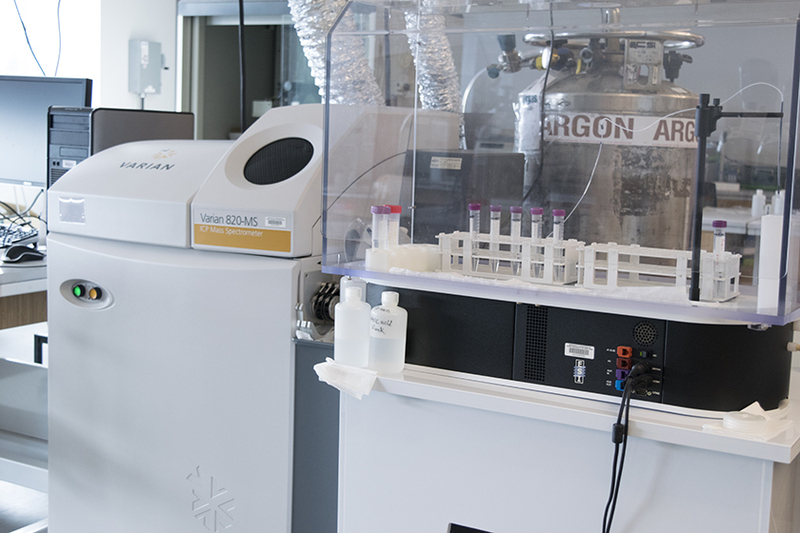 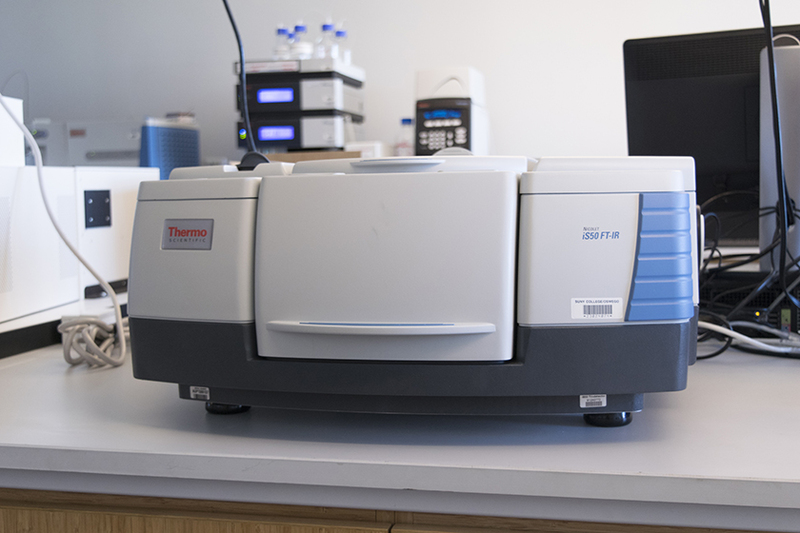 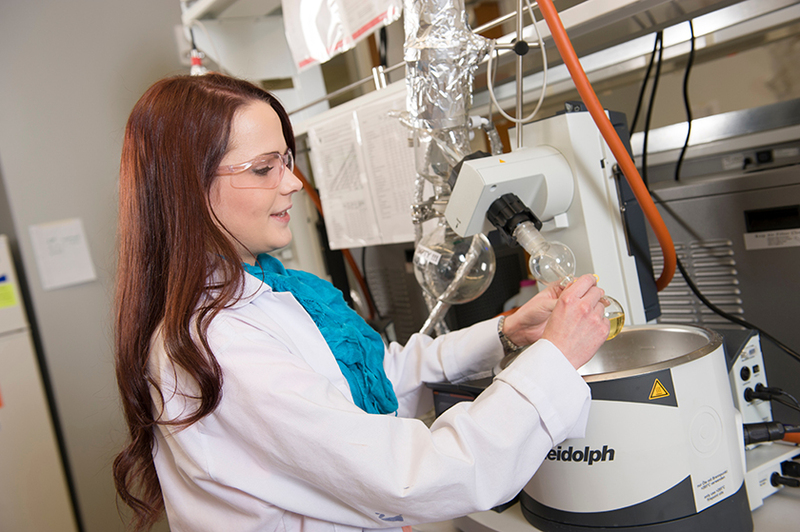 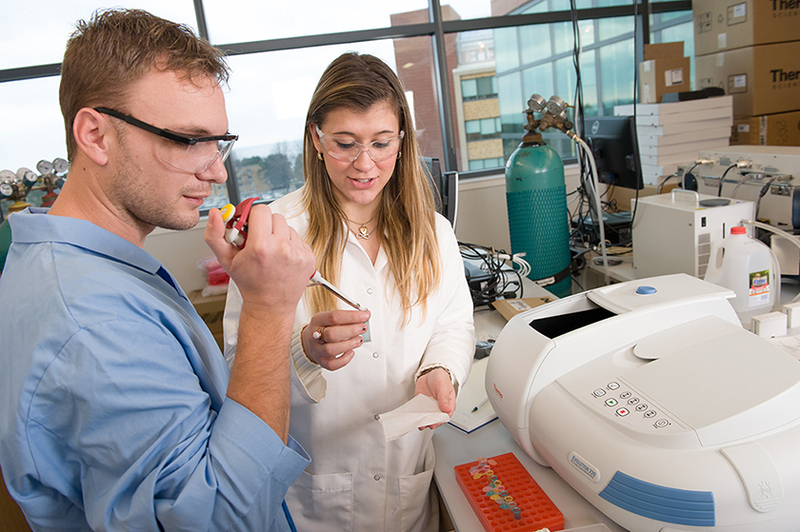 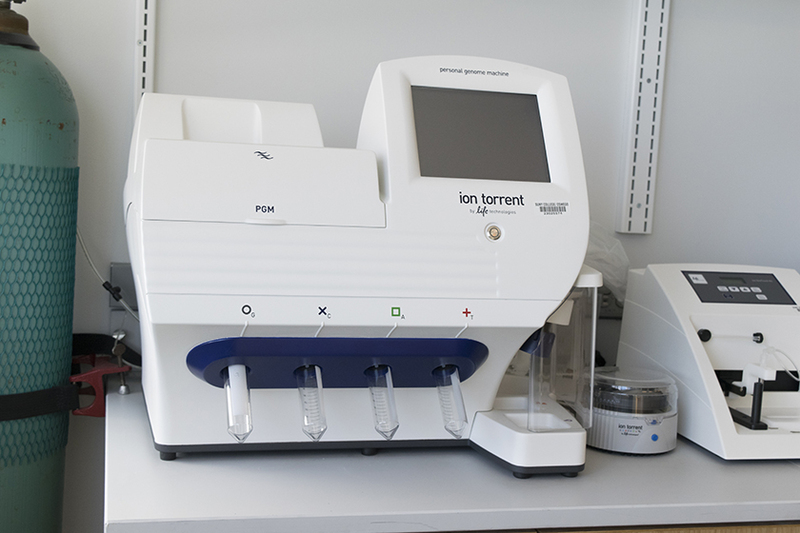 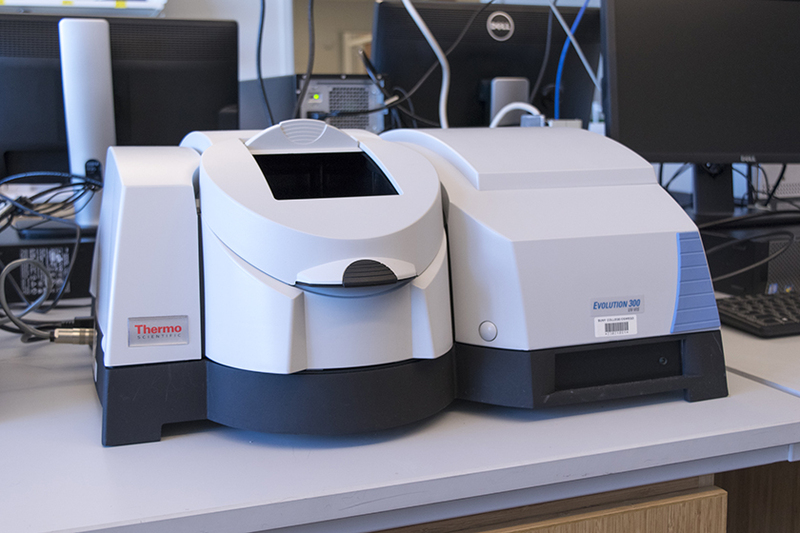 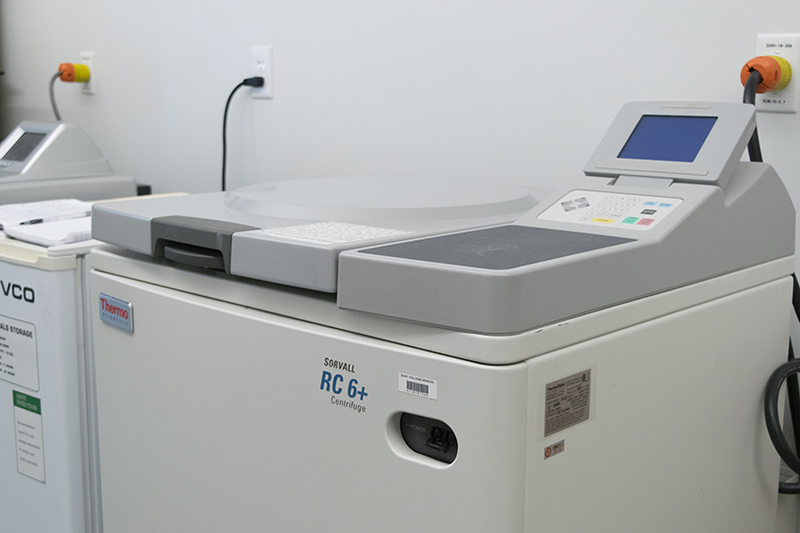 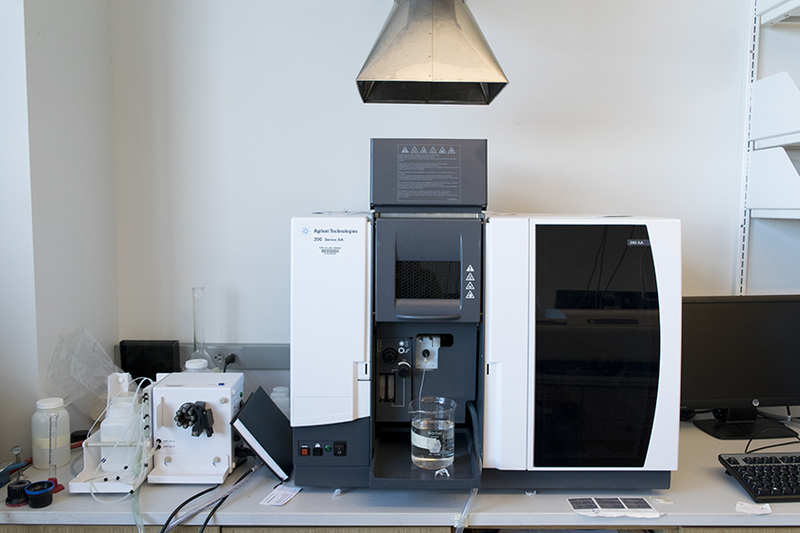 The ERC specializes in the analysis of emerging and legacy contaminants in a variety of environmental matrices, and has two environmental chemistry laboratories equipped with research-grade analytical instrumentation for sample preparation and the measurement of organic contaminants in the environment. 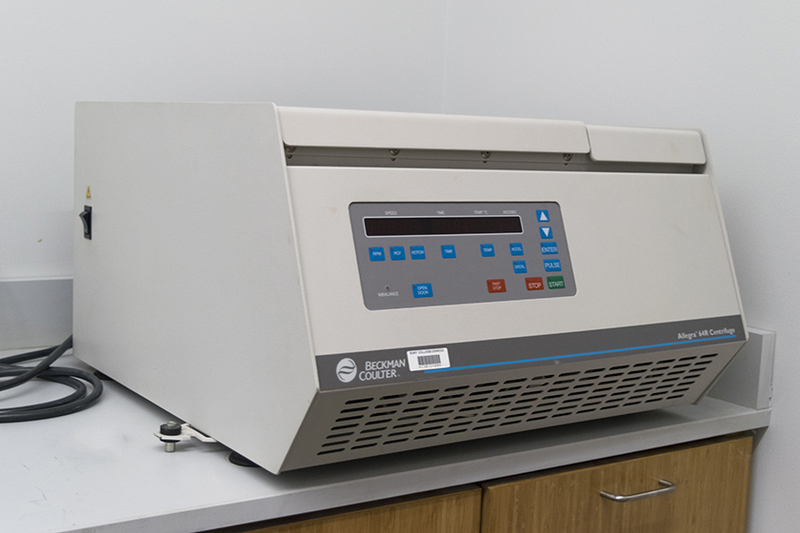 Past studies conducted in the lab include the analysis of native Alaskan foods and The Great Lakes Fish Monitoring Program - Lake Ontario Air Deposition Study (LOADS). 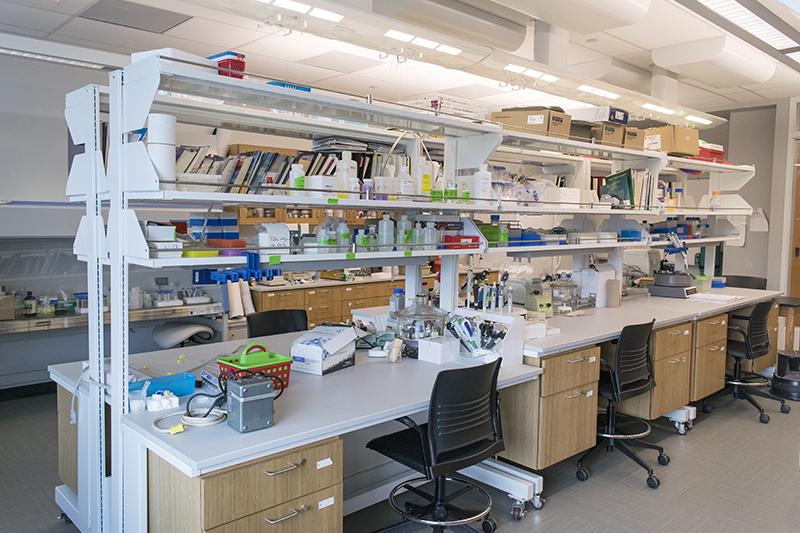 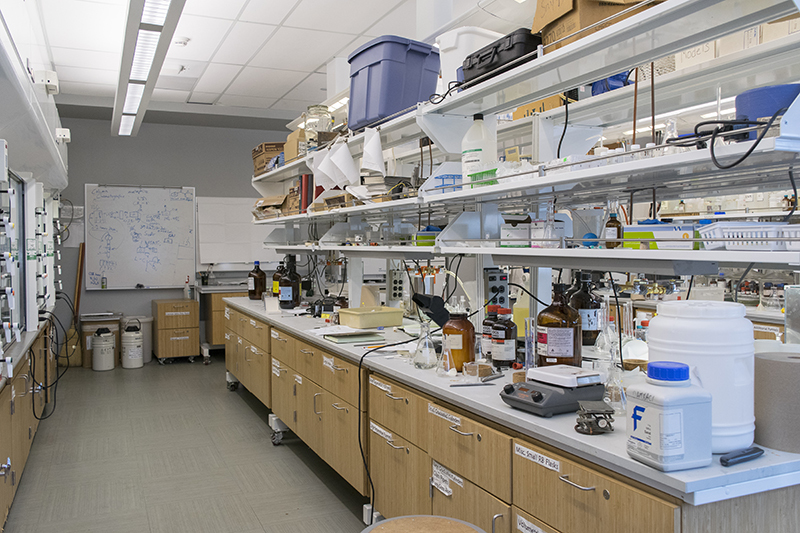 The MBBC is a research and teaching facility that consists of several laboratories and offices in the east wing of the third floor of the Shineman Center. 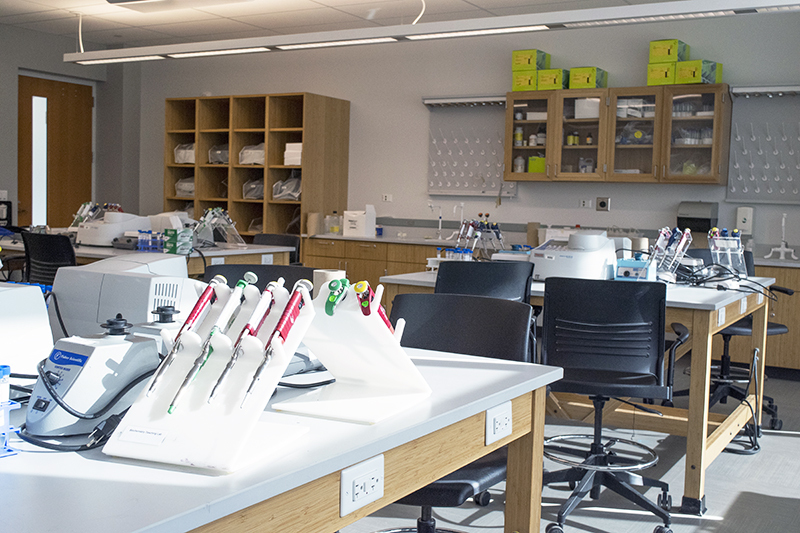 Students in this lab can sequence and label DNA, observe mammalian and bacterial cell cultures, and clone cDNA.